The West Coast Wilderness Lodge Resort offers guests unsurpassed scenery, exceptional adventure opportunities, fresh seasonal cuisine and a variety of accommodations to suit all tastes. 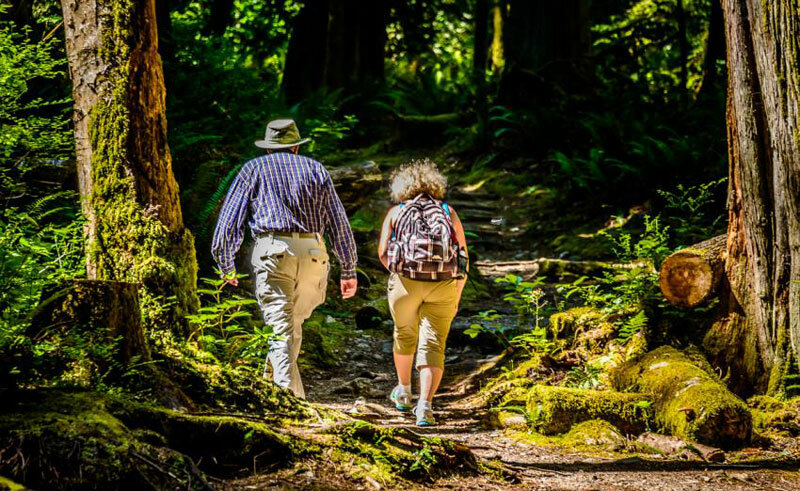 Enjoy the solitude at the edge of the wilderness following a scenic three hour drive or 45 minute float plane trip from downtown Vancouver. Located in the tiny fishing Village of Egmont, the sheltered waters around the Lodge are calm and perfect for relaxed kayaking at all ability levels. Our waters boast a wealth of diverse and abundant marine life thanks to the mighty Skookumchuck Rapids, just three miles away. The awesome power of these incredibly turbulent tidal rapids create a very special environment for all wildlife in the area. 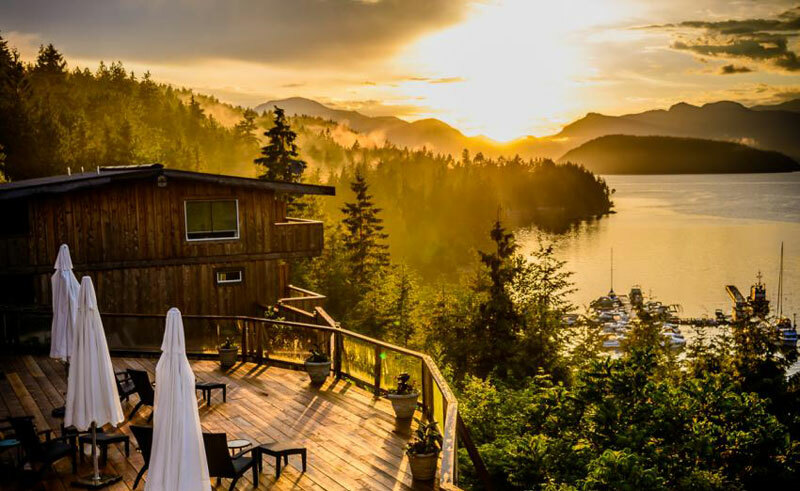 Choose between the incredible panoramas of the ocean view accommodations or the quiet serenity of the forest-view rooms and suites, nestled in among the cedars and ferns. 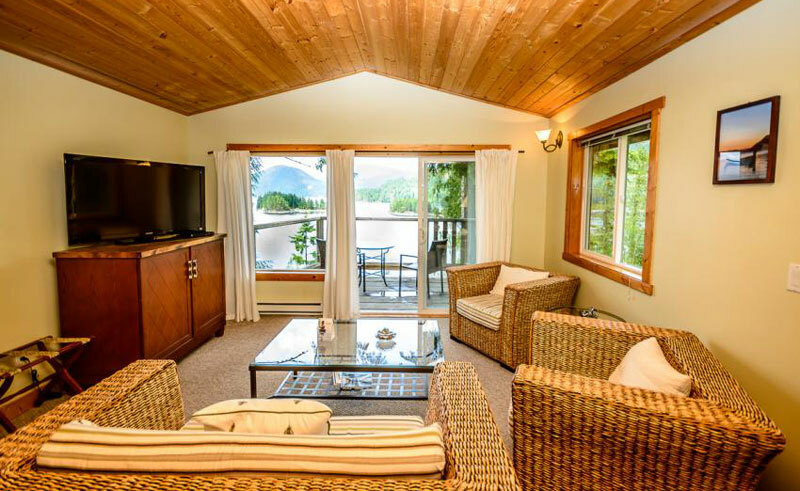 The 26 guest rooms feature thoughtful furnishings, private decks, down bedding and fluffy towels. 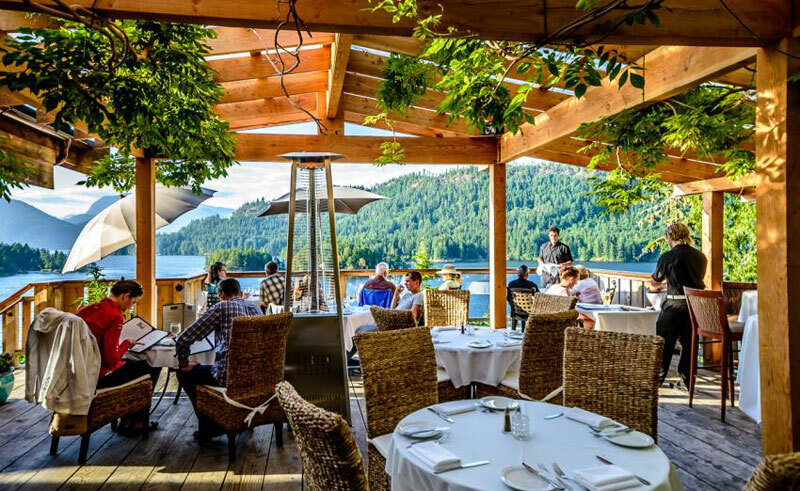 A welcoming atmosphere, fresh seasonal cuisine and breath-taking scenery await at the Inlets Restaurant. As you dine, you’ll see cormorants, eagles and the occasional sea lion sporting in the waters far below.